Cabin owners and supporters are a meeting last month to discuss the future of the Hartlepool site. The announcement (Mail, February 23) that the Middleton village cabins are in danger of being closed and removed due to the lack of funding has taken everyone by surprise. I don’t think people realised what a high rental charge £14,000, soon to be £17,000 per annum, was being made on what is clearly a non-prime site. The Hartlepool Smallcrafts Association was founded in the 1950s. There was also an association founded in 1956 at South Gare, Redcar. The South Gare Fishermen’s Association leases the land from Tata steel for a nominal, affordable rent for the approximate 100 cabins on the site. Their cabins have featured in TV shows, like Vera. Middleton village may not have the numbers or celebrity status of the South Gare village. 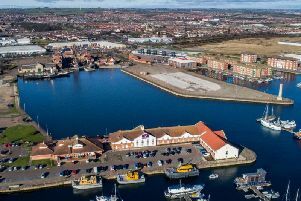 However it provides a much-needed location for boating and fishermen alike to meet and keep alive the traditions that helped make Hartlepool a successful fishing and shipbuilding port. I am puzzled as to why the port authority feels a need to charge such an exorbitant rent for a small piece of land which, because of its location, may not be commercially viable. Indeed the cabin owners are not highly commercial enterprises that could afford this high rent. 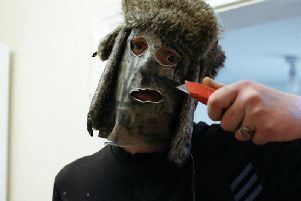 If the Middleton cabin owners are removed then the site would inevitably descend into a vandal-hit area. The cabin owners keep the area tidy and secure so I believe that the port authority, which is not short of a bob or two, could be a little bit magnanimous and do its bit to enhance the social aspect of this area. After all, if the cabins go they would receive no income at all. Not even the £7,200 contribution (£200 x 36 cabins) by the cabin owners. It makes no economic sense to reduce your income to zero in these austere times.